If you are thinking about owning your own greenhouse then you should know that there are many reasons why having a greenhouse is a fantastic idea. With a greenhouse, you transform your small gardening hobby into something truly amazing and rewarding. 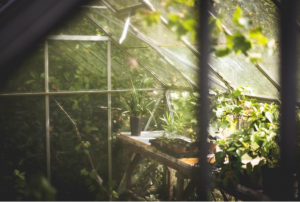 It doesn’t matter if you only have a few minutes a day to work on your greenhouse or you’re able to dedicate hours to your passion, having a greenhouse is for anyone who loves to grow things. Getting in touch with the best greenhouse contractor in your area is the first step. You may find that there are some concerns that you have before you get your own greenhouse, how much will it cost? Do I have the space in my yard? Will I benefit from it? The truth is that the benefits of owning a greenhouse are huge. As anyone with a greenhouse will attest, having a greenhouse in your yard is a gift to yourself that keeps on giving. 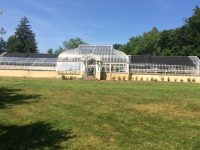 It doesn’t matter if you are having a greenhouse installation or restoration, once the greenhouse contractors have completed their work you will be able to enjoy your greenhouse completely. You can use your greenhouse to grow anything from fresh vegetables to any plant that you can think of. 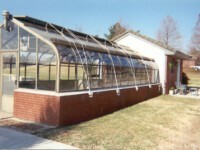 If you are planning on having your own greenhouse built, it is always best to contact greenhouse specialists. They will be able to give you the greenhouse design that you always dreamed of. 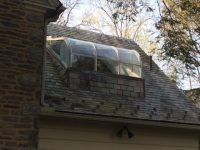 Having a greenhouse installed in your garden will allow you to keep everything organized. You will be able to keep all of your gardening supplies and equipment stored in one place. 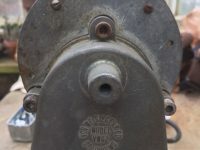 This is great as this will allow you to keep your whole garden much cleaner, and you will be able to garden with much more enjoyment and efficiency. Now that you have a greenhouse you will not have to skip your gardening for the day due to rain, snow or any adverse weather conditions. Even long droughts will not be a problem for you. Having a greenhouse installed by professional contractors will allow you the flexibility to tend to the vegetables, fruits and plants that you grow on a schedule that suits you, not mother nature. There is nothing worse than working so hard to grow something only for a cold snap, or unseasonably hot weather to ruin all of your efforts. Once your greenhouse installation or restoration is complete, you will be able to protect your plants from not only rough weather, but many pests like caterpillars, mites, or anything else that would look to your garden as an all you can eat buffet. Your new greenhouse will provide your plants with the perfect conditions for everything from herbs to vegetables. Plants love to be warm and humid. Not only will your new greenhouse protect your plants from the elements, it will give them the ideal conditions to grow as big and strong as possible. By contacting the best greenhouse contractors in your area, you will be able to get a greenhouse designed that looks incredible. If you have a design in mind for your greenhouse, a greenhouse specialist will be able to work with you to ensure that your dream becomes a reality. Plants can be expensive. With a greenhouse, you will not have to spend nearly as much each year. In fact, those who own greenhouses often find that they have to give away flowers and plants as gifts as they simply have too many.